We are a prominent and leading Importer and Supplier from Mumbai, we offer Nickel Products such as Nickel Nickel Flanges &Nickel Alloy Forged Fittings.. Shape T Shape, X Shape, L Shape, Round, etc. 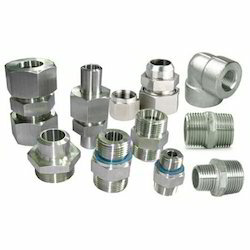 Pioneer in the industry, we are engaged in offering an impeccable range of Nickel Alloy Forged Fittings. Our given forged fitting is developed from the high quality of material & modern techniques as per the defined industry standards. Besides, this forged fitting is commonly used for joining two or more pipes and to regulate the flow of liquids in different direction. 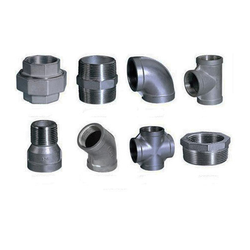 This forged fitting is available on diverse specifications as per the variegated demand of customers.